from Arizona: NYX eyeshadows in Antique Gold and Iced Mocha, MAC pigment sample in Green Brown and a sample of Blinc eyeliner. 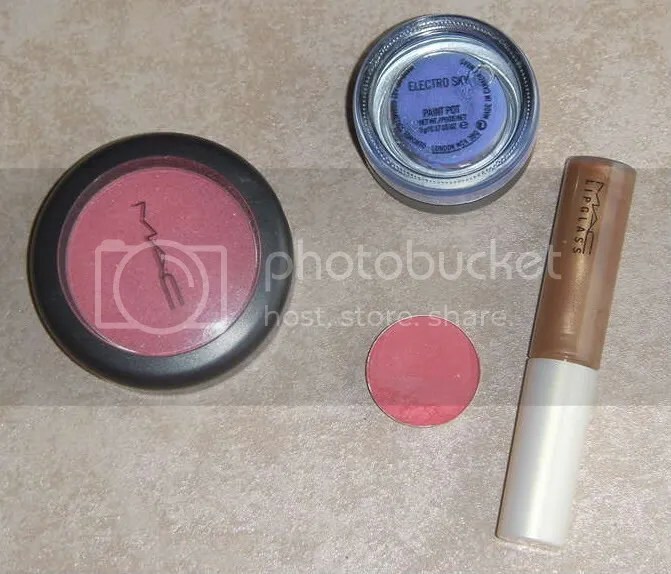 This was actually an MUA swap Maderine. I only wanted Antique Gold and Iced Mocha but she included lots of extras – that, made me feel a bit guilty lol. I love my new goodies!! Crescent is so pretty on my lips. It’s a frost l/g with golden bronze and shimmer. I just don’t like the way it’s so sticky though. I love using my NYX shadows for daily natural looks. I haven’t used my Electro Sky ’cause it just looks so pretty in its packaging, lol. 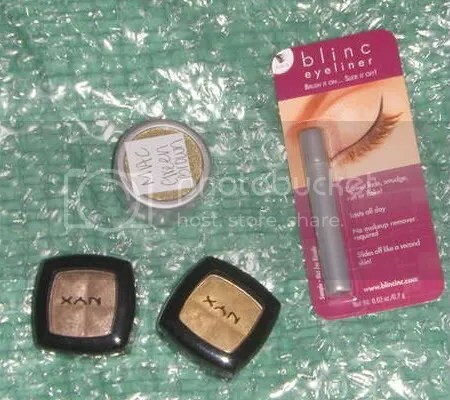 I’m currently waiting on other 3 packagings.. 3 Paint Pots from the US (on its way), some earrings (these are actually my friend’s), and some NYX goodies (swapping, I sent first, my token is still less than 10)..
FOTD, NOTD Good Things Happen..